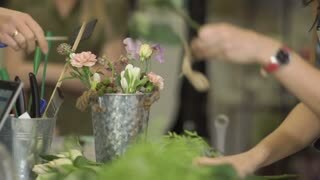 Close-up view of young woman florist making a beautiful flower composition. The decorator makes a wreath. 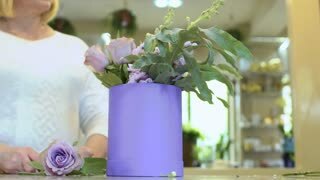 Close-up view of florist preparing flower composition at workplace. 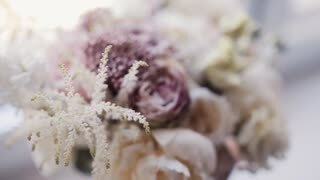 Beautiful gentle bouquet. 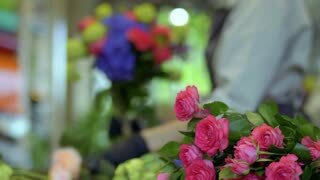 Close-up view of florist woman holding the flower composition in her hand. Girl touching the beautiful buttonhole.